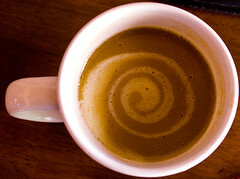 What is it that you do with your cup of coffee that makes it taste exactly the way you like it? Aside from the selection of the coffee itself, it is probably how much sugar, milk, and/or cream you add. But what happens if you want the texture of cream, but want a lower butterfat content? You go for half and half! When it comes to evaluating your applications and their suitability for the Cloud, the decision usually comes down to whether you put your applications in the Cloud or whether you keep them on-premises in your own datacenter. But wait - why does it have to be one or the other? Why can’t you take “your” Cloud the way you take your coffee – customizing it to what works for you? Your selection of coffee provider/flavour (Tim Horton’s, Second Cup, etc) is analogous to your selection of hosting platform as it is the basis to your experience. Your selection of milk, cream, or half and half is analogous to the architecture you choose to go with – either all in, not in, or half and half (hybrid). The amount of sugar you add to your coffee is the final determination of your drinking experience, analogous to the platform’s (of your choosing) ability to deliver on the deployment experience to your expectation. Let’s zero in on the milk, cream, or half and half. For me, the selection of milk, cream, or half and half is dependent on the coffee I choose. Some coffees go better with milk, and others with the cream. Having said that, it’s no different when looking at the platform that host your applications. Some platforms require you to be all on-premises. Other platforms required you to be all in the Cloud. But where the magic happens – like half and half that gives you the texture of cream, but lower butterfat content – is when you can have the best of both worlds and work with a platform that enables you to run some things on-premises and others in the cloud, taking advantage of the benefits of each. Applications that require single-sign on authentication with an existing identity provider, like Active Directory. Without a hybrid option, these types of applications would be constrained to live their entire lifecycle in an on-premises world. With a hybrid capable Cloud platform, like Windows Azure for example, you can remove that constraint. All of this while not having to make too many changes, if at all, to your existing on-premises applications to support a Cloud component. So now you can see – taking your Cloud like you take your coffee is, in fact, possible. You just need to ensure that the Cloud platform of your choosing supports it. As I close off this post, it seems appropriate to end with a coffee/Cloud order! But this is just a recipe. What’s yours?